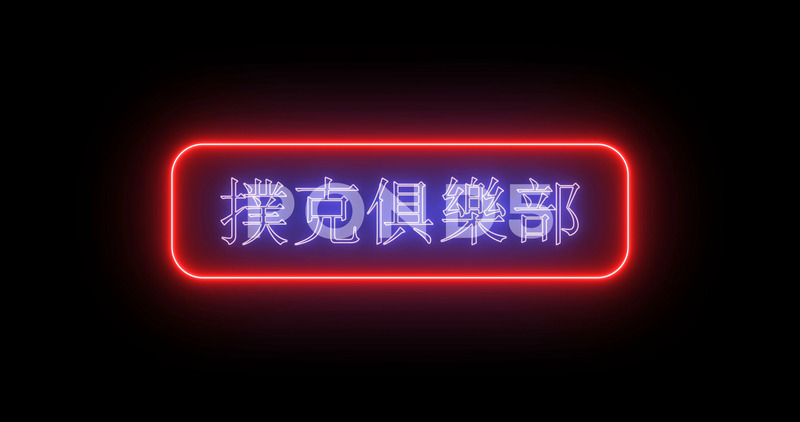 Red And Blue Glowing Neon Sign "poker Club" With Chinese Hieroglyphics. Description: Red and blue glowing neon sign "poker club" with Chinese hieroglyphics. Neon sign in retro style. The translation of the text in English is poker club .